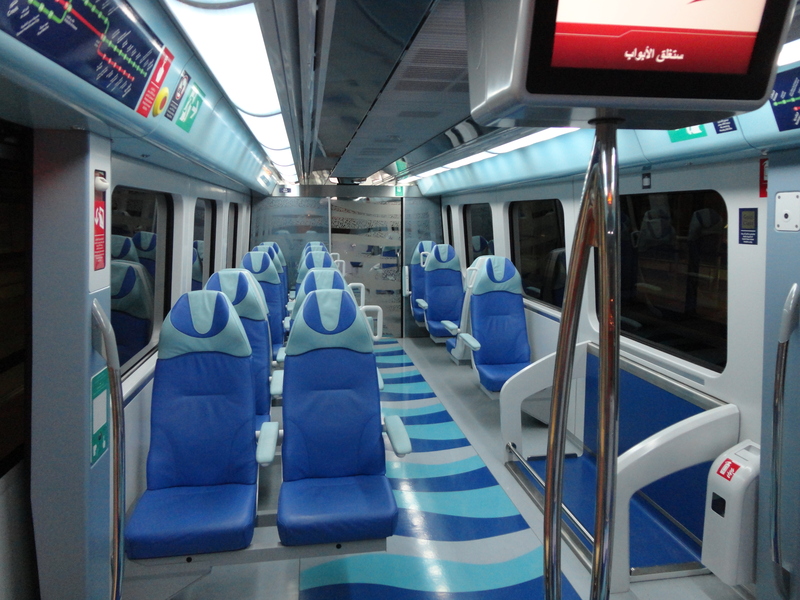 The Dubai metro is initiative of RTA (Roads and Transportation Authority ) the most effective way to get around Dubai, To get from one end to the other and the best means of public transport in Dubai, with a view! The metro is operated by an electronic system and one is required to posses a nol card or buy a ticket (which is a paper nol) for any metro journey. As stated the ticket is a disposable paper card, then there are 3 types of metro nol cards. The silver, gold (for people who wish to travel with a little bit more comfort and away from the rush) and then blue for senior or students. Silver and gold are available upon request at any station kiosk, but student and senior cards must be applied for, the form can be requested at the same kiosk visit RTA website for more details. There are two lines at the moment; (rumors and sites of others have been heard and seen but they’re in progress) the red line and the green line. The red line starts from residential rural Rashidiya and goes to the industrial Jebel Ali, in between these stations you can get to almost any part of Dubai you need, the red line runs along the main city. Please see the image below for all stations. This lane links you to 3 malls; Deira City centre, Dubai Mall, and the Mall if emirates. It also connects you to Sheikh Zayed Road (one of the two main roads in Dubai). You can also reach Jumeirah Beach road by getting off at Al Jafiliya and getting on the X28 bus outside the station, or you can go further on the metro to Nakheel and get a 5min taxi from the station to get to the same road. The airport terminals (1&2) are also on the red line. So why waste money on taxis? The public transport is cheaper and more effective, you can see a bit more on your journey too! The red line is linked to the green line via two stations; Union and Burjuman, union being the first, and Burjuman following, there is also a Mall at the Burjuman stop. The green line, this starts from Etisalat station, all the way to Dubai creek. This is a more residential line, a lot of residents use this to get home. Comments Off on Top sheesha Cafes in Dubai- My picks! Top sheesha Cafes in Dubai- My picks! Comments Off on Things to do for Eid Al Adha in Dubai! Things to do for Eid Al Adha in Dubai! Comments Off on Sheikh Zayed Road Dubai Time Lapse Video! Sheikh Zayed Road Dubai Time Lapse Video!